We are called to do justice for the orphan and the widow. But what happens when that justice looks a lot more like injustice? 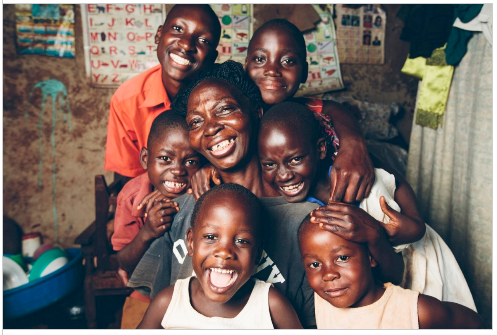 In a small village in Uganda there was a family in crisis. Their granddaughter had just fallen into their care and she was sick. Her mother was struggling with mental health problems and had not been giving her proper care. When she arrived at her grandparents, abandoned by her Mom, she was so malnourished they feared for her life. With limited resources and the hospital an hour away, the family did not know what to do. They loved their granddaughter and wanted to find her help so they approached the leaders in their community about the situation. The leaders contacted some missionaries in town and told them about this family. And just like that, this little girl was brought to an orphanage, where she would be separated from her family for the next 3 years. The family wasn’t offered transportation to the hospital, or advice on nutrition for a malnourished child, or high caloric foods or help paying hospital bills. The only option presented was the removal of their child. So for the next three years a child with a family that loved her sat in an orphanage. She became one of many children cared for by multiple caregivers a day that came and went and picked up their paychecks at the end of the month. She got three nutritious meals a day and toys donated from America to play with and the occasional trip to town for ice cream, but she lacked a child’s greatest need- a family to love her. She watched adoptive parents arrive to take their kids home and was left wondering where her family was and why she wasn’t with them. Essentially, an orphan had been created. While this little girl wondered, an hour away a family in a village was left missing their daughter. After helping to reunite children living in orphanages, back home with their families I wish I could tell you that this story was a one-time deal. That children weren’t constantly being separated from their families because of poverty. Unfortunately I’ve heard this story more times than I’d ever be able to count. Each story I’ve heard has been unique but the fact that poor families are placing their children in orphanages because better services aren’t being developed isn’t unique at all. Not to Uganda or even to Africa. All over the world we are confusing poverty for families not loving their children- In Haiti, in Cambodia, in Kenya, in Brazil, in Honduras. I’ve spoken to folks working on the ground in all of these countries and the common experience is that not enough is being done to help poor families keep their children. Nearly every family we have resettled a child to has told us, had support been available to help them keep their child, they would have never put them in an orphanage in the first place. Poverty can’t be the reason the majority of children are growing up in institutional care. But this is what is happening and this is what needs to change. Which brings me back to my question- Would Jesus be cool with keeping poor kids in orphanages? Knowing what we know of who Jesus was, how he engaged with the people he served and worked alongside of and what he advocated for, I think the overwhelming answer would be a big fat “NO”. Jesus liked messy. He tended to run toward it. We think of the disciples he chose to do ministry with, the stories of the misfits and the outcasts he loved so well. He gravitated toward people that didn’t have their crap together. Working with families and trying to tackle poverty and the issues that stem from it is MESSY WORK. Throwing kids in orphanages and ignoring the problems that are facing their families and communities? But we aren’t called to easy. We are called to enter into the mess. I don’t think Jesus would be about institutionalizing children just because we wanted to find an easy fix to the problem. I believe He’d be asking us to challenge each other. He’d be all about ministering to and reaching an entire family, rather than removing a child from their care. He’d remind us that His Father didn’t accidentally choose these families for these children and that we should be fighting for families who love their kids to get to keep them. Removing a child might be the easy answer, but it’s not the right one. I believe we’re called to true justice for “orphans” and widows, and to me that means coming alongside families in need rather than removing their children.